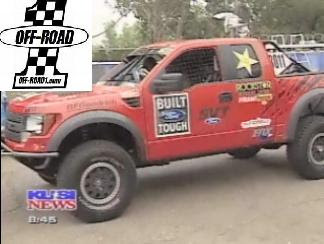 TEAM CHM - TT#1 QUALIFY RUN - VEGAS TO RENO from Off Road Videos on Off-Road1.com. Mexican Radio, McMillin Team, Barbara Terry and off-road fans interviewed at Contingency one day prior to the Vegas To Reno 2009 start. Recorded Wednesday, August 19, 2009. CLICK HERE FOR THE Barbara Terry-Encinitas FORD RAPTOR Podcast From San Diego Tuesday, August 18. LIVE! ONLINE SHOW FROM THE PUBLIC APPEARANCE - Listen In! 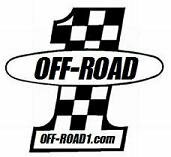 Barbara Terry Announced Exclusively with Off-Road 1.com Saturday, she'll be racing the Raptor-R in the Vegas To Reno. CLICK HERE BORDER PATROL RAPTOR SERVICE? Las Vegas Mayor Oscar Goodman (that’s him in the center) greets “Jubilee!” showgirls in the Golden Nugget before making his grand entrance to a party celebrating his 70th birthday at the Fremont Street Experience. 7. “A showgirl and a bottle of Bombay Sapphire Gin.” – Response to a fourth-grader at Jo Mackey Elementary School who asked what Goodman would bring with him if he were ever stranded on a desert island. 6. “I'm technically in charge of a city of about 600,000, but all 1.8 million people in the valley here think I'm their mayor. I do nothing to dissuade them. When I pick up the phone, I just say, ‘It's the mayor.’ – Referring to his self-appointed position as mayor of the Las Vegas Valley during an interview with FHM magazine. 5. “I'm looking for the other 14 (percent) so I can have them whacked.” – Response to a poll that gave him an 86 percent approval rating, and his opinion of the 14 percent who did not approve of his job performance. 4. “I’d take one Betty over 100 showgirls any day,” -- Referring to Welcome to Fabulous Las Vegas sign designer Betty Willis during an art exhibit of Las Vegas signs at S2 Art Center. 3. “It's where I took all of my best mobster clients.” – Referring to the old La Concha hotel during a charity event raising money for the transport of the lobby to the Neon Boneyard. 2. “In the old days in France, they had beheading of people who commit heinous crimes. You know, we have a beautiful highway landscaping redevelopment in our downtown. We have desert tortoises and beautiful paintings of flora and fauna. These punks come along and deface it. I'm saying maybe you put them on TV and cut off a thumb. … That may be the right thing to do.” – During an appearance on the Reno-based “Nevada Newsmakers” issues-and-affairs show. 1. “When I ran for mayor, I was told, ‘Take off your pinstripes and roll up your sleeves and wear khakis,’ things like that. But that’s not me. I knock on doors, and little old ladies up in Summerlin say, ‘Hey, it’s the mafia lawyer! Come on in and have some cookies and milk!’ I love it!” – On why he will not change his image. 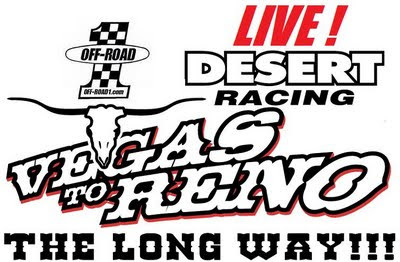 The Vegas to Reno off-road race -- which will actually run from near Beatty to near Reno -- has been lengthened to 1,000 miles this year in a three-day staged event Aug. 20-22, according to Casey Folks, director of the Best In The Desert Racing Association. After being denied permission to use Nye County roads last year, Folks was granted permission this year in a total turnaround in attitudes by the county commission. 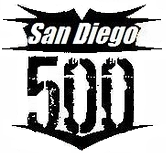 The 997-mile event is billed as "the longest off-road race in the United States." It was typically 525 miles in the past. Folks said he expects about 275 entries for the Vegas to Reno race which includes cars, trucks, motorcycles and quads. Already 250 entries have been received, the deadline to apply for the draw for starting positions is July 30 but drivers can enter up to Aug. 19. 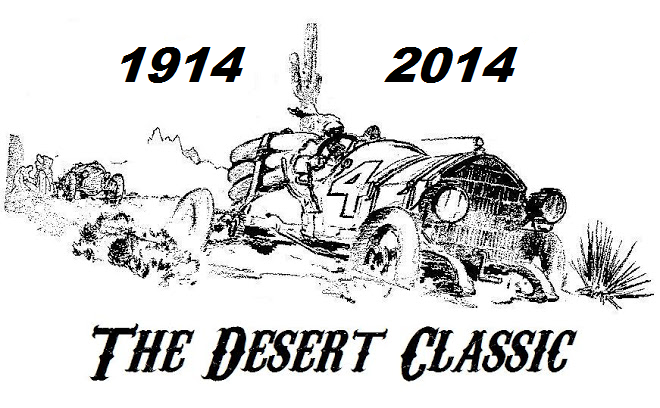 The U.S. Bureau of Land Management Tonopah Field Office is conducting an environmental assessment of the race. Nye County Commission Chairman Joni Eastley said comments for the assessment are due at the BLM office by July 30. "I'm really proud of you because our relationship has come a long way in two years. You've done a great job," Eastley told Folks. That's a major change from previous years in which Folks faced frequent complaints by county commissioners over the condition of roads after the race. Eastley said this time Folks went with Nye County roads officials to review the route before hand and donated money in communities like Beatty. Folks told commissioners he went over the race route with Acting Public Works Director Dave Fanning and road supervisor Stretch Baker. He said their only concerns were over traveling on the Sterling Mine Road near Crater Flat just south of Beatty and avoiding a turquoise mine near Ralston. "We will be going through Gabbs. Unlike a lot of rural areas they want the race running right through town," Folks said. Jim Marsh, owner of two casinos in Tonopah and the Santa Fe Saloon in Goldfield also wrote a letter of support. "Casey's off-road race brings a sorely-needed boost to rural Nevada," Marsh wrote. Racers plan to spend the first night in Tonopah after starting near Beatty. They will take a roundabout way through Coaldale and Lone Mountain, west of Tonopah. 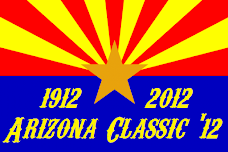 The first leg measures 333 miles as opposed to only 93 miles via the direct route ordinary motorists use on Highway 95. The second day, racers will travel from Tonopah through Goldfield and finish at Hawthorne, traveling via Mina, a 372-mile segment. The third day they will finish up going from Hawthorne to Dayton, about 20 miles east of Carson City, riding through Luning, Mina and Gabbs. Drivers will be able to use the Joe Friel athletic fields at Tonopah High School. Folks said he donated money to the Muckers high school athletic program and the principal granted them permission to use the field. Folks said they wanted to start the race farther south at Nevada Joe's in Lathrop Wells but had to move the starting line closer to Beatty because of concerns about the desert tortoise. Beatty mining entrepreneur David Spicer will grade one road up to Bonnie Claire that is unofficially a county road that is the only county road being used for the race, Folks said. Folks asked commissioners to forego requesting a bond, which cost him $1,000 last year. Folks said he got approval from the Beatty town advisory board and the Tonopah town board. On the Best In The Desert Web site, Folks said Spicer worked diligently with the BLM to find an alternate route around Beatty to avoid the Amargosa toad. A mandatory impound will be used this year. Race vehicles will be stored there after the days race in a secure area. 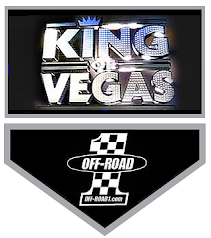 Best In The Desert formerly sponsored the Terrible's 250 off-road race in Pahrump during April, which has moved to Primm, where the Herbst family, owners of Terrible's Town and Terrible's Lakeside Casinos in Pahrump, have three casinos. 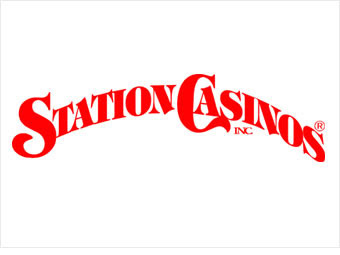 Station Casinos has sponsored the 2009 Vegas to Reno Race-Rally, please visit their property and support American Off-Road Racing!